As IT Coordinator at KWR, Fred is responsible for renewing, improving and maintaining the infrastructure and IT environment. In his many years of experience, he developed the skills to translate complex IT projects to understandable language. 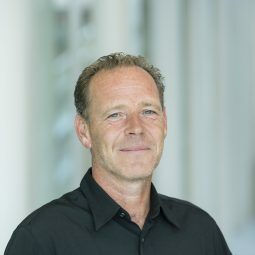 Over the past years, Fred managed several IT innovations, including that of KWR, Water Education Foundation [Stichting Wateropleidingen] and Residues Union [Reststoffenunie]. In addition, he worked on several European projects with a focus on automating the relevant countries’ water pipeline data.